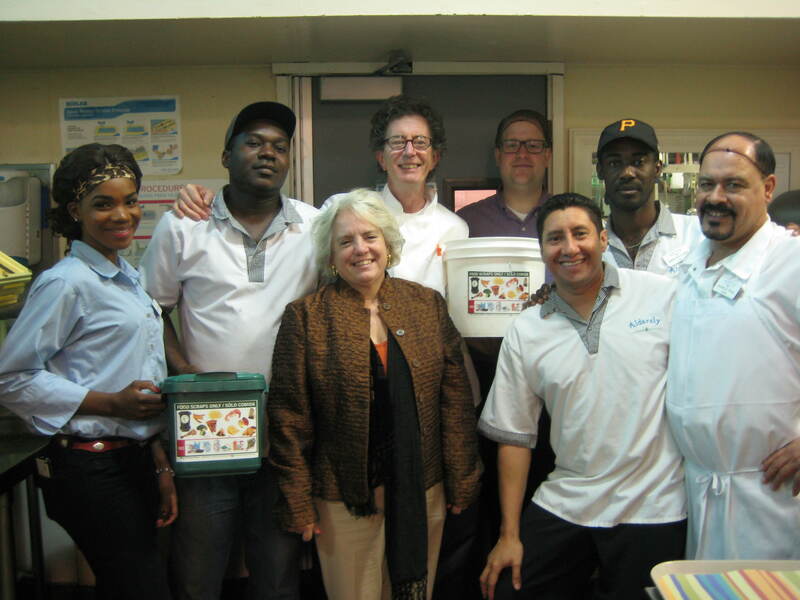 Aldersly participates in Marin Sanitary Service’s Food 2 Energy program. The program has helped divert over 1,152 gallons of Aldersly’s organic materials from Marin’s landfill. Before, all leftovers were put into the trash, and went to the landfill. Now, leftover food is placed in food scrap carts, which are picked up on a weekly basis by Marin Sanitary Service. The food scraps are placed in an anaerobic digester, which converts the leftover food into energy.